Winner of the $50.00 raffles this week were Bruce Hay and Jason Robinson – congratulations – once again thanks everyone for your support. The Shop/Office will be closed this Monday 19th March. Good Luck to Chris Herbert and Chrissy Doughty who are representing the club in the Wellington Eagles Halberg Field Day on Sunday 18th March at Masterton Golf Club. Congratulations to the Green-keepers on the course conditions, not a weekend goes by without many visitors commenting on the beautiful conditions of our course. You guys are AWESOME!!!! And don’t your forget it!!! Division 9 finally won a game – not only did they win against 2nd to top team Karori they thrashed them 15 – NIL – so the whole team will take the honour of being players of the day – AWESOME result guys!!! Division 7 also has a awesome result where they travelled over the hill to play Carterton and won 12.5 – 2.5 – Player of the day was Allan Fayen who has a brilliant round of 75 off the stick – AWESOME result guys!!!! Division 4 did not get the result they were looking for, they had a 13-2 loss at Otaki. Their blue friend went to Luke Holford with a 8/7 loss and player of the day and last week muppet of the week went to Jason Mckenzie with a 1 up win. Their only singles win. Bit of a shocker!! – but you have to take the wins with the losses (or draws) – makes sure you have no more of these scores guys!!!! Division 1 had a tough game against Carterton at Te Marua, Carterton who are currently 2nd on the leader board with 40.5, 5.5 points behind Miramar with 45.5. 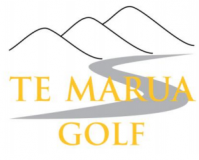 Te Marua is ahead of Shandon by 1 point on 34, there are a few rounds to go yet with 15 points up for grabs each match so they are well within their capability to meet that goal. As for the days itself, a disappointing result when playing at home losing 9.5- 5.5, but that’s life and golf doesn’t always go according to plan (they didn’t have their weetbix in the morning) Peter Gallen reckons the loss was due to him not playing – but who is he kidding – he hasn’t won a game yet!!! Their next match is against Waikanae on the 24th March at home – so hopefully we will have a positive result!!! On a cool, overcast autumn morning, the Te Marua Mashie team embarked on an away trip to the sleepy hollows of Ohariu Valley. Filled with high hopes they played the locals, I’m not proud to report that they got thrashed 2.5 – 12.5. – Bad luck Guys!! – I know you will turn this result around in the next game!!!! Tomorrow Saturday 17th March the course will be closed for St Pat’s Day – we have a full field of over 100 players!! This Sunday 18th March the men will have their last day for Strokeplay Championships Mayer & Kean and Bolt Cups, plus M/P Qualifying – Good Luck to you all!!! On Sunday 25th March we have the first round of Golfer of the Year. Have you paid your Subs???? I would like to welcome to the staff our new cleaner Heather Hardman. Have we got your correct e-mail address??? Or contact number???? Thursday – Weekday Men, Evergreens at Manor Park, Women’s Veterans at Trentham. Friday – course available all day.